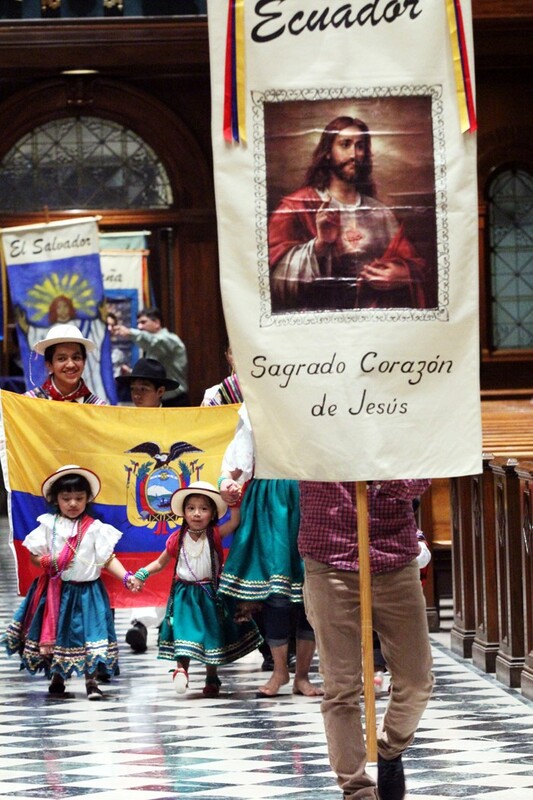 Archbishop Charles Chaput celebrated the Annual Hispanic Heritage Mass with the Hispanic community Oct. 26 at the Cathedral Basilica of SS. Peter and Paul. He was joined by Bishop Nelson J. Perez, Auxiliary Bishop of Rockville Centre, New York, who was the homilist and main celebrant for the mass. Hispanic Catholics gathered at the Cathedral to celebrate their heritage and rich diversity with many priests serving in the Hispanic Apostolate throughout the Archdiocese. An entrance procession of national flags and banners depicting patron saints of the 20 Latin American countries of Hispanic heritage, as well as the Papal and American flags, opened the Mass. Some people who attended dressed in the traditional attire of their countries of origin. 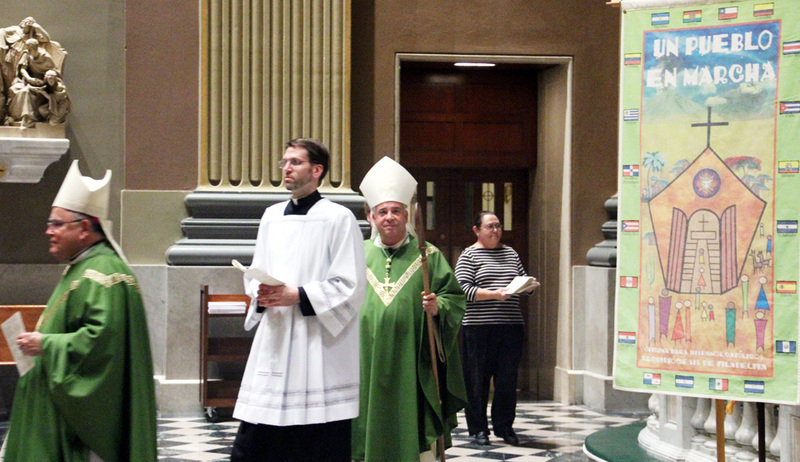 The Hispanic Heritage mass marked Bishop Nelson J. Perez’s first visit to Philadelphia since being ordained a bishop. 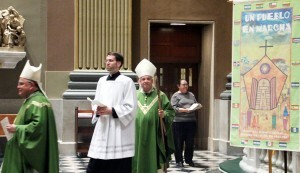 A Philadelphia priest, Bishop Perez was most recently pastor of St. Agnes Parish in West Chester. Roger Veleg and Brian Sibre dressed in garb from their native Ecuador. 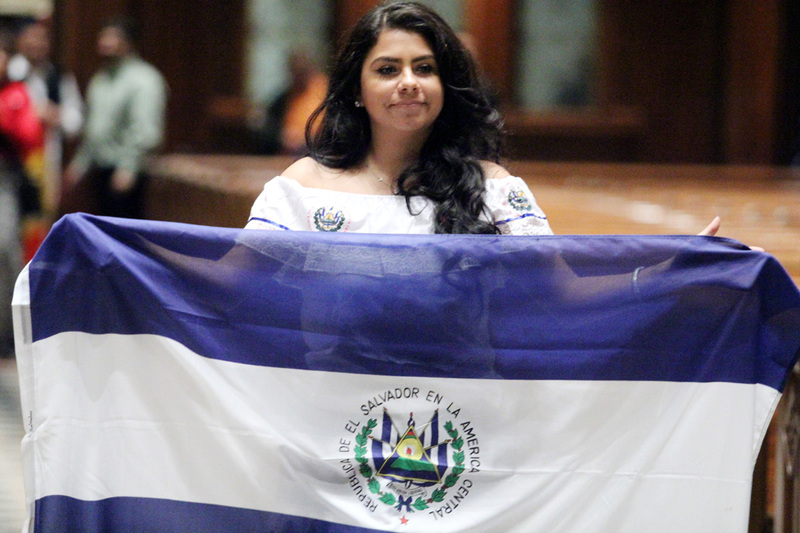 Jennifer Gutierraz from Visitation parish carries the flag of El Salvador during the cultural procession. Fr. 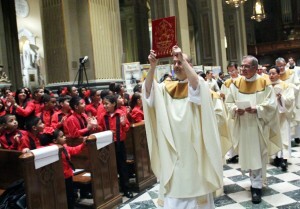 Bruce Lewandowski C.SS.R., vicar for cultural ministries, carries the book during the entrance procession. 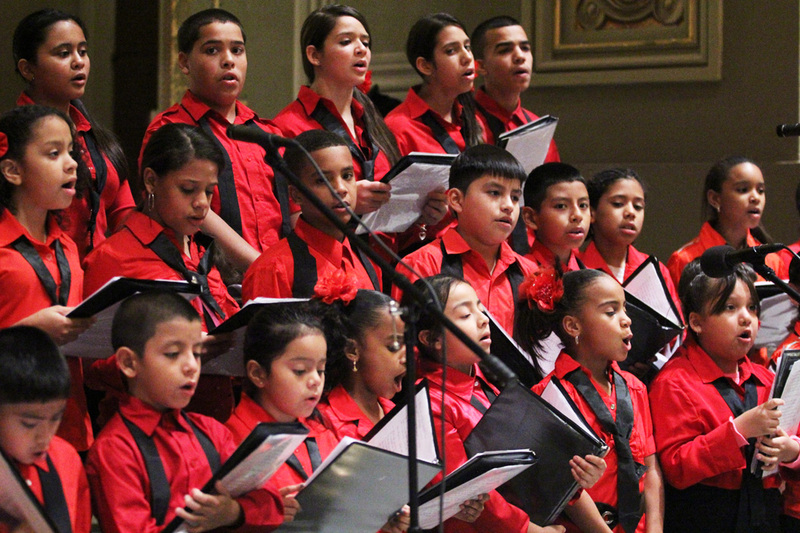 Children from St Marin of Tours parish provided music before and during mass. 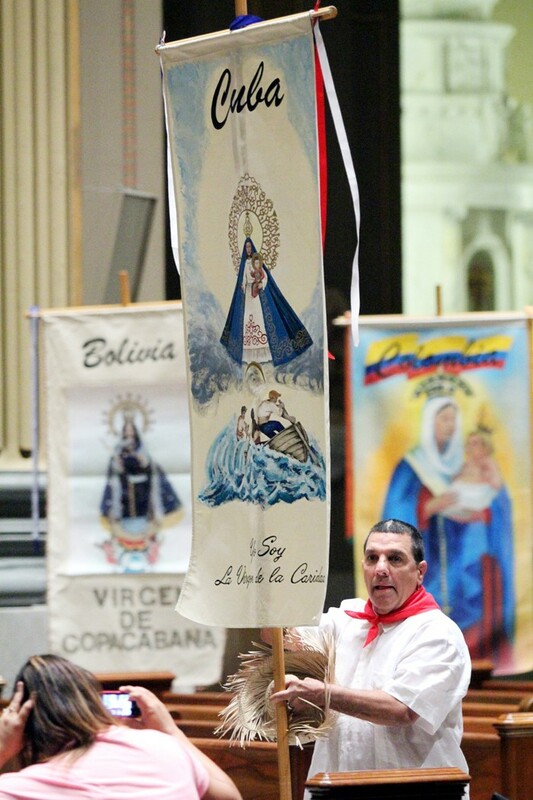 Jose Colina carries the Venezuela banner in the procession before the Hispanic Heritage Mass. 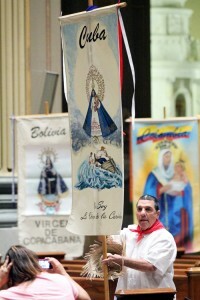 Jose Muina from St Ambrose parish carries the Cuba banner in the procession preceding mass. 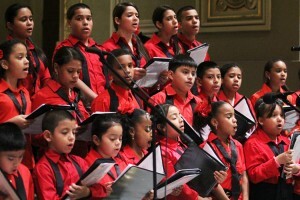 El 26 de octubre 2012, el arzobispo Charles Chaput celebró la anual Misa de la Herencia Hispana con la comunidad hispana. 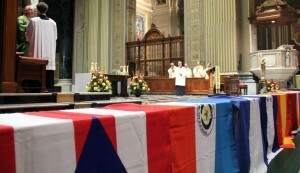 Fue acompañado por el obispo Nelson J. Pérez, obispo auxiliar de Rockville Centre, Nueva York, quien fue el homílista y celebrante principal de la misa. 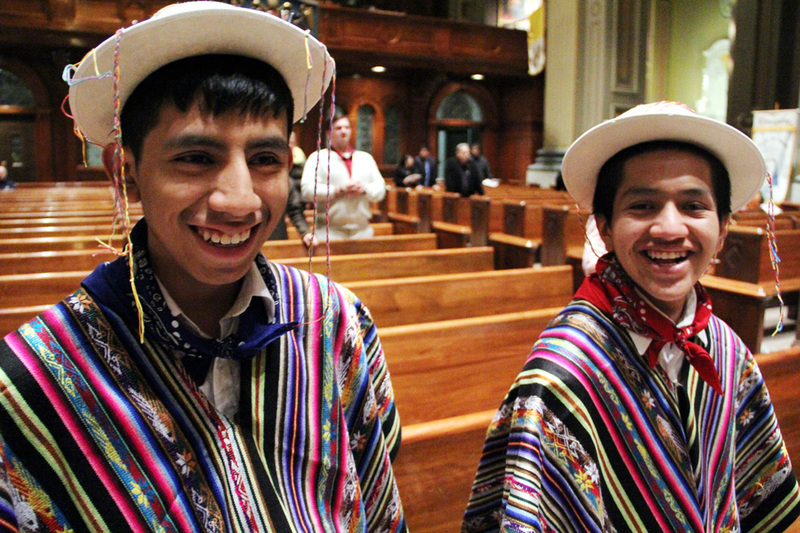 Católicos hispanos se reunieron en la catedral para celebrar su herencia y diversidad junto a muchos sacerdotes que sirven en el apostolado hispano de la Arquidiócesis. 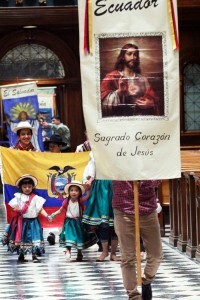 Una procesión de entrada con las banderas nacionales y estandartes representando a los santos y santas patrones de los 20 países latinoamericanos de origen hispano, así como las banderas papales y estadounidense, abrió la Misa. Algunas de las personas que asistieron vestieron el atuendo tradicional de sus países de origen. La misa atrajo a fieles de toda la región para celebrar la diversidad y la unidad de la comunidad católica hispana. La Misa de la Herencia Hispana marcó la primera visita del obispo Nelson J. Pérez a Filadelfia desde que fue ordenado obispo. Un sacerdote de Filadelfia, el obispo Pérez anteriormente sirvió como pastor de la parroquia de Santa Inés en West Chester (Condado Chester).